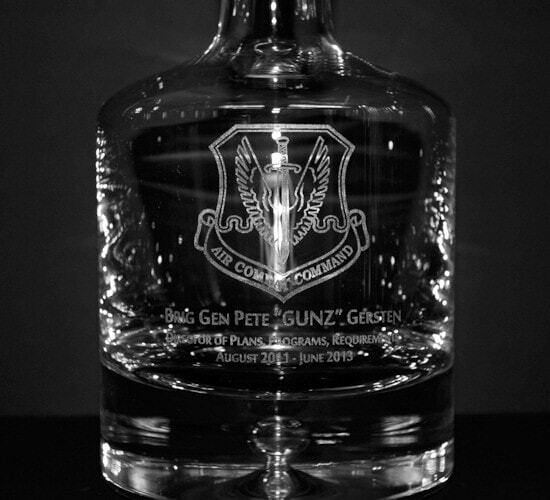 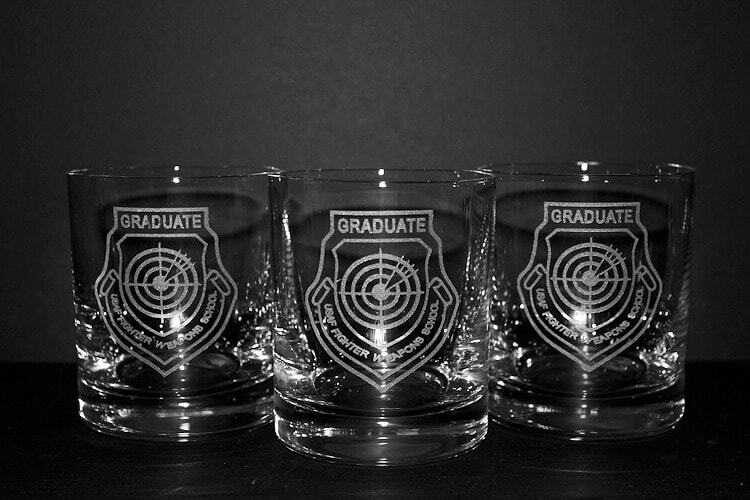 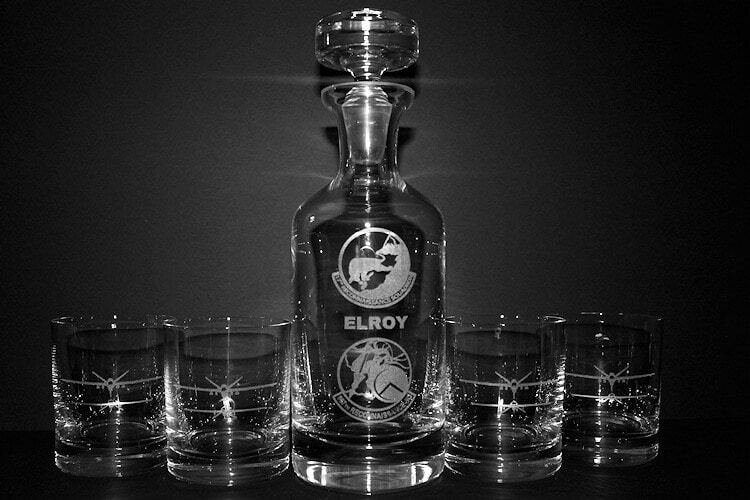 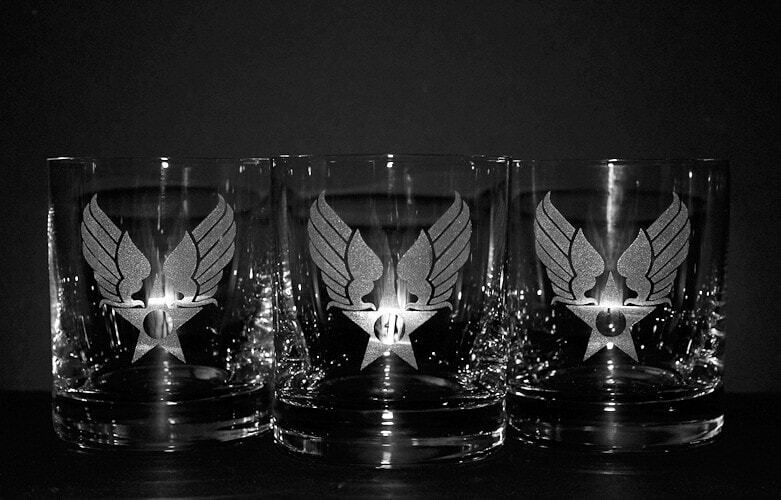 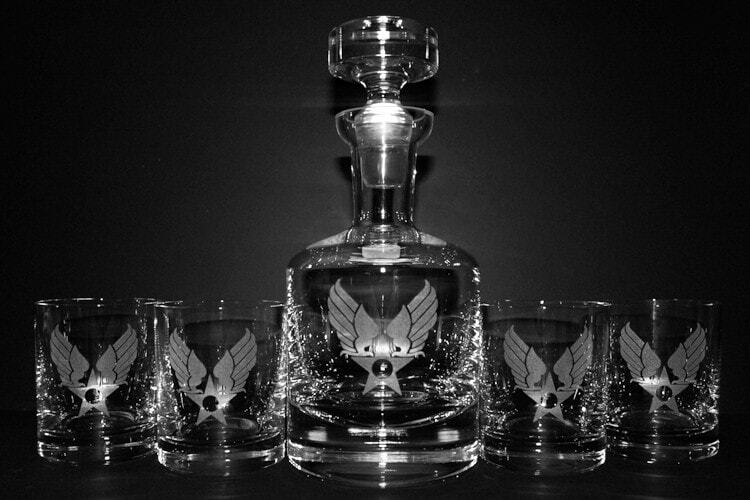 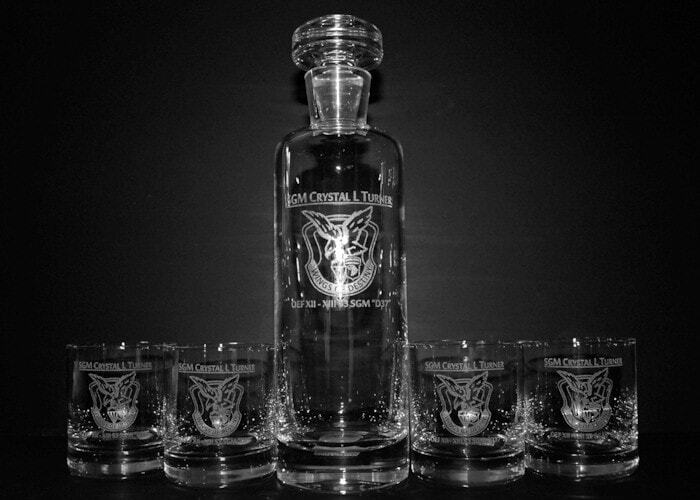 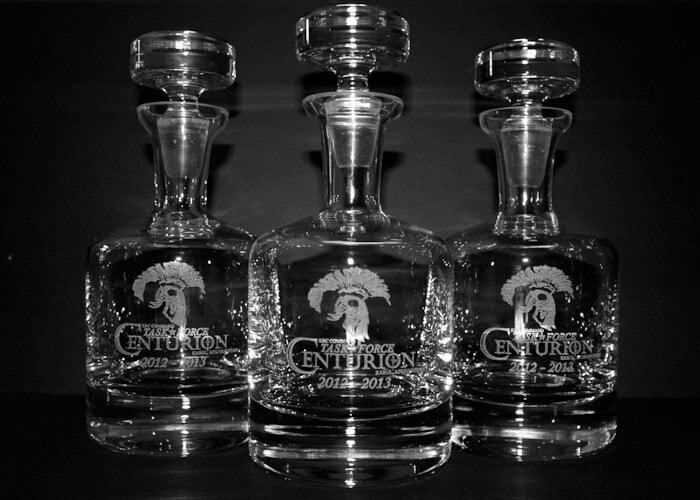 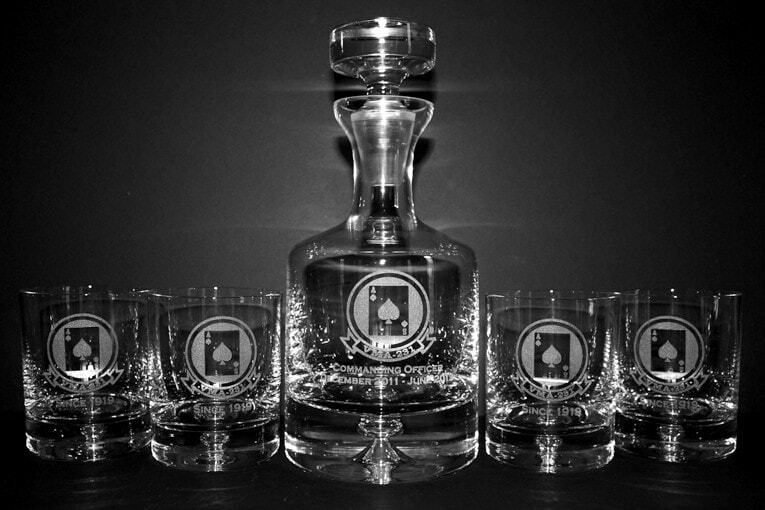 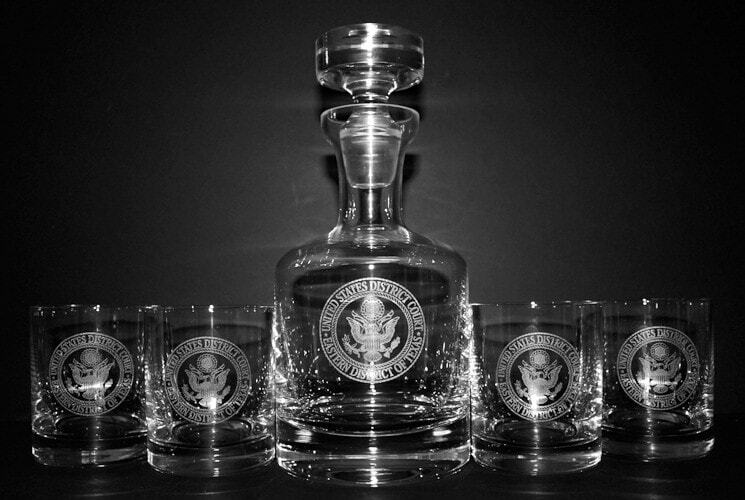 See the gallery above for samples of our work featuring military themed engraved decanters and barware commemorating tours of duty, promotions or retirement. 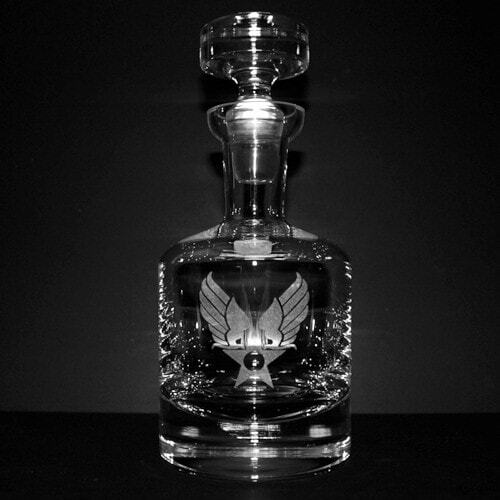 We can work with most armed forces crests logos and insignias as long as the it is provided high resolution or vector format we can use to prepare the artwork for engraving. 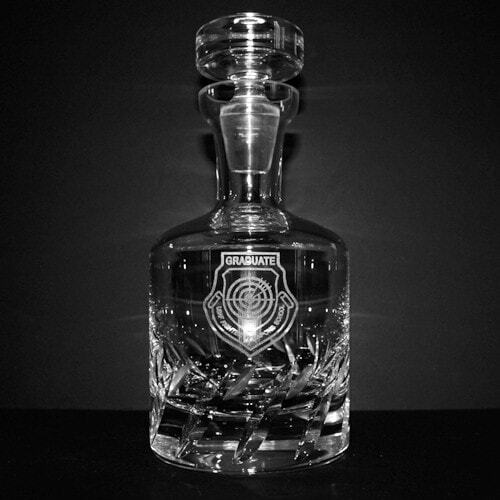 Depending on the size of the engraving area on the selected item, additional information such as name, rank, callsign or tour date can be added to personalize most logos.